Electrochemical simulation of lithium-ion batteries. Image from CD-adapco. 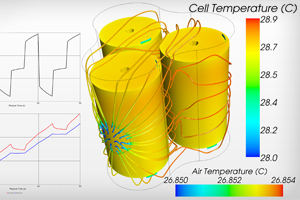 CD-adapco announced the release of simulation software for spirally-wound lithium-ion batteries. The technology was developed under a contract awarded by the U.S. Department of Energy and is available for production use as the STAR-CCM+ Battery Simulation Module. The overall goal of the DoE project is to assist industry in developing better power sources for electric drive vehicles. CFD consulting firm Informative Design Partners was acquired by RAND Worldwide, a professional services firm. Details of the deal were not provide. IDP writes about CFD on their CFD Analysis Blog. The Schnitger Corp. blog goes into a bit more detail about ANSYS’ 2012 Q2 performance. ANSYS continues to look for companies to acquire but due to a lack of candidates in the $200-$300 million range they’re focusing on smaller “tech tuck-ins.” Also of note is the fact that ANSYS is growing their large customer portfolio faster than their small customer portfolio. Tecplot Chorus is a finalist for Tech Innovation of the Year. The winners of this Stevie Award will be presented in San Francisco on 17 September. You can vote for Tecplot Chorus here. Tecplot was also included in Seattle Magazine’s list of The 100 Best Companies to Work For. CEI announced the release of EnSight 10.0.2e. COMSOL provides this animation of flow over a tractor trailer traveling at 80 km/hr. Colors represent the log of turbulence intensity. Autodesk Simulation TV has a video about Simplifying Revit Components for CFD. NVIDIA posted a video showing interactive CFD using FluidDyna. The simulation was run on an NVIDIA Maximus workstation, the second generation of which they announced at SIGGRAPH. Symscape offers this video and brief tutorial on simulating a tank being filled with water. This should keep you busy for hours. (At least it did for me.) 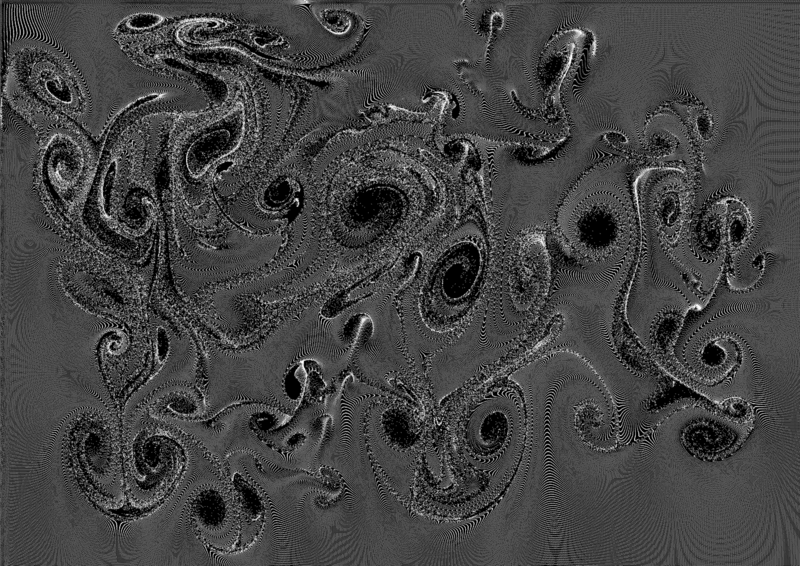 It’s an interactive fluid simulation that runs in your web browser using WebGL. Just use your cursor to stir things up. This entry was posted in Applications, News and tagged ANSYS, Autodesk, Caedium, CD-adapco, COMSOL, FluidDyna, IDP, NVIDIA, RAND, Schnitger, STAR-CCM+, Symscape. Bookmark the permalink.